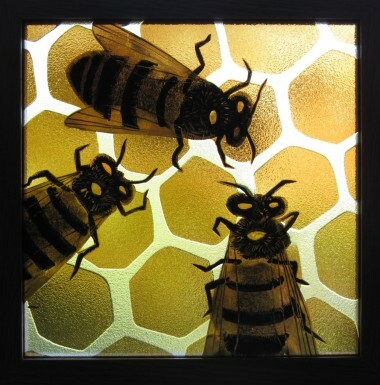 A panel made with flashed glass, painted and sand-blasted. 225mm x 225mm with a light oak frame. This example shows bees, but other insects etc. available on request!